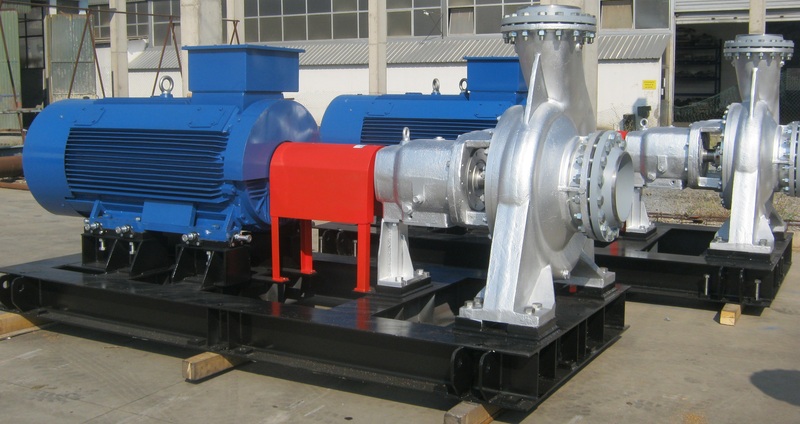 Horizontal Split Case Double Suction Centrifugal Pumps D are engineered to pump clean water or low viscosity clean liquids at moderate heads more economically than any other type of pump. All fabricated parts are standardized and accurately machined for true alignment, increasing overall durability. 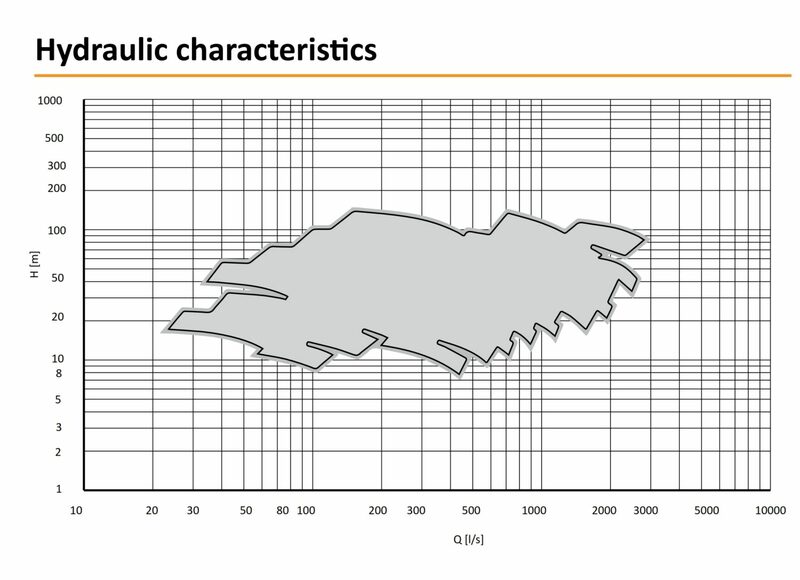 Impellers are statically and dynamically balanced and constructed with double inlets, practically eliminating the axial thrust and resulting in high operating efficiency. The shaft sealing could be arranged by:soft packing or mechanical seal. On special demand the pumps could be furnished with mechanical seal in accordance with the characteristics of the liquid and the operating conditions, including the possibility of sealing with cartridge mechanical seal. For liquid transfer and circulation of cold clean or slightly polluted water. 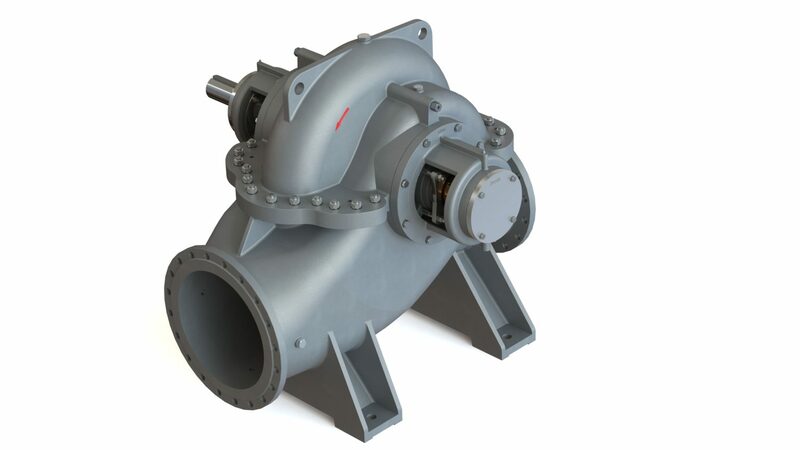 Single stage, medium pressure double inlet centrifugal pump with two flanged bearing frame, suitable for flexible coupling to electric motor or internal combustion engine as a driver. Ample dimensioned shaft guided through roller bearings and hardened shaft sleeve. Spiral housing axially splitted means easy maintenance without pipe disconnection.